Anula Maiberg of the Sixth Street Pilates New York is a well known character in the international Pilates community. She is unconventional, she is outspoken, she is inspirational. Anula Maiberg is a Thinker. And, on top of that, she is an outstanding instructor, passionate about teaching people how to get the best out of their bodies so that they live and move better. That resonates so well with the philosophy of Aspire Pilates where we do not sell “pilates for hot bodies”, we teach people tools and techniques to achieve their best body. We view Pilates as a discovery of connections. So it is with great excitement that we welcome Anula Maiberg to Aspire Pilates The Hague in the last weekend of September 2017. 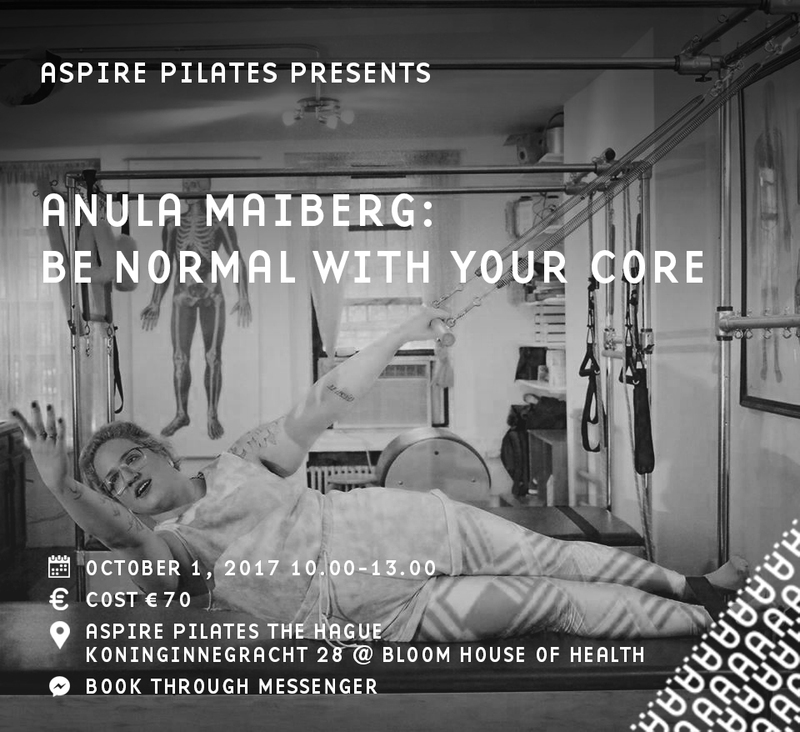 On Sunday October 1, 2017 at 10.00 -13.00 Anula will present her Be Normal With Your Core Workshop designed for Pilates instructors. Be prepared to learn and unlearn, review and reconsider your ideas of what Pilates is and how to teach it; in short— come with an open mind to myth bust your Pilates practice. This workshop is for Pilates instructors but if you are a student of Pilates and want to deepen your understanding of the method, come to attend. For bookings and enquiries please contact us here.